Wordpress is the most popular web Content Management System platform known in the whole world. Though it is said to be the easiest one to handle, develop and manage from the whole list, you can’t unlock all of its features on your own. It started as a blogging platform and evolved in time to suit all types of businesses, small or big, only with the cost of complexity. WordPress web development can help you to finish your project just like you dreamed to. Even if you already have a WordPress website in need of a new face or you want a new and fresh website, WordPress web development is ready to take your plans and put them in action. Starting from the customized themes and integrations leading to routine maintenance, our team of designers and developers will extract what’s best from a WordPress platform. Why Should You Choose WordPress for a CMS Ecommerce Website? >WordPress is a CMS platform flexible enough to virtually squeeze out anything from it and it is SEO friendly. It can be customized easily and turned into a beautiful ecommerce website in no time. WordPress has lots of themes and plugins from which you can choose. WordPress web development can and will help you to make the desired website possible. WooCommerce is the WordPress variant for ecommerce websites. As a store owner, you can easily sell anything, anywhere. As a developer, you receive an adaptable, extendable, open-sourced platform through which you can build the store your client dreams of and desires. 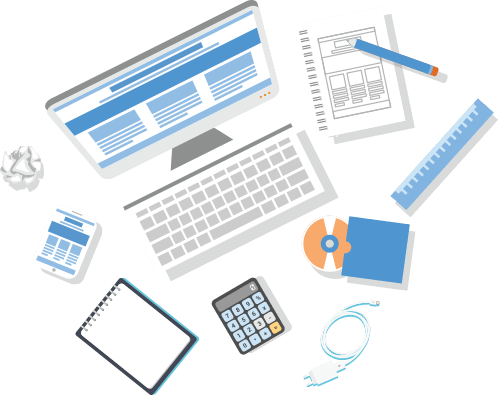 Our WordPress web development team offers a great deal of services and ways to finish the project from which you can choose what you want. If you choose to use a CMS platform you will have a number of advantages, such as security, easy ways to manage the content, beautiful themes that can be customized, easy interface and much more. One of the great things that WordPress can offer is the extension through plugins that can add any feature you need in your CMS website. There are also many plugins that can strengthen the WordPress security and the only things you have to do is to install them and make the necessary configurations. These plugins monitor the activity of your website, prevent the most common attacks and instantly notify you about suspicious activity. WordPress web development can provide you the best ways to keep your WordPress ecommerce website secured at any time. If you want a secure website, you have to make sure you have secure passwords, complex to guess, long and strong credentials and also users with strong passwords. If you want to make sure that your transferred data is secured and encrypted, you should use SSL certificates or HTTPS. This is not an enabled by default feature, so WordPress web development will obtain a certificate to encrypt and secure your ecommerce website. Most ecommerce websites use payment gateways such as PayPal to ensure that the information about credit cards or other sensitive payment information go through high security to reach the source. WordPress web developers know exactly what to install and what settings to apply to offer you a trusted payment through your website. WooCommerce – the best known solution for single seller ecommerce websites using WordPress. It is free, but it also has world-class support and many beautiful themes from which to choose when you begin developing your website. The security is well thought of by a dedicated team of developers. WordPress web developers will help you get the best out of this type of ecommerce platform and will create the greatest website just for you. Easy Digital Downloads – if you want to sell only digital stuff such as books, pictures, video or music files, software etc., then this plugin is the best option for you. It has also top notch security. WordPress web development will assist you in customizing the looks and functions of your brand new online digital store. Dokan – if you want to have an online marketplace where many other sellers can enter and sell their products, you should choose Dokan WordPress plugin. It is an improved version of WooCommerce, the single vendor ecommerce plugin, and it also provides high security standards. WordPress web developers will bring you closer to your most wanted online marketplace in just a few clicks. If you choose to use WordPress as your base for a CMS ecommerce website, then our team is ready to guide you with your plans and build the website of your dreams.